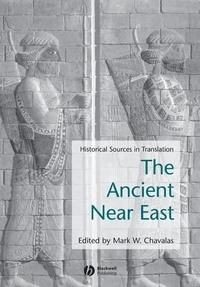 This book presents new translations of Mesopotamian and ancientNear Eastern historiographic texts, providing the reader with theprimary sources for the history of the ancient Near East. A primary source book presenting new translations ofMesopotamian and ancient Near Eastern historiographic texts, andother related materials. Helps readers to understand the historical context of the NearEast. Texts range from the code of Hammurabi to the Assyrian royalinscriptions. A detailed commentary is provided on each text, placing it inits historical and cultural context. Maps, illustrations and a chronological table help to orientatethe reader.